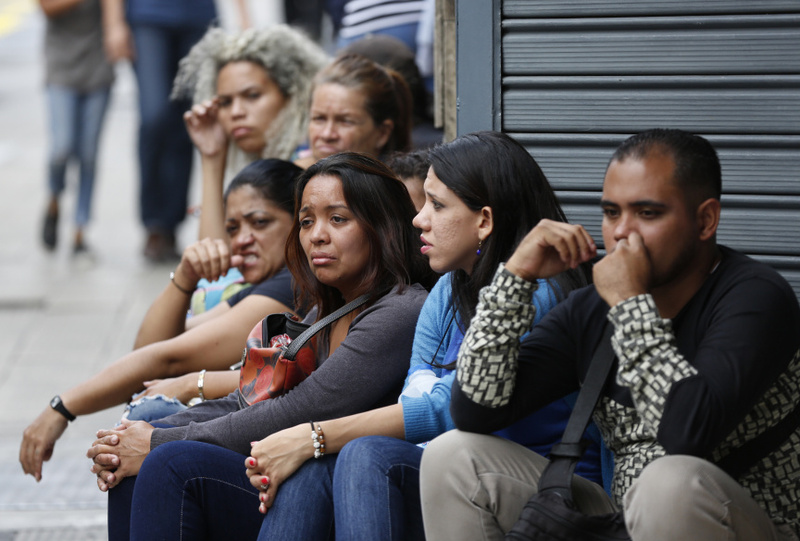 CARACAS, Venezuela (AP) — Seventeen people were killed at a crowded nightclub in Venezuela's capital Saturday after a tear gas device exploded during a brawl and triggered a desperate stampede among hundreds gathered for a graduation celebration, government officials said. More than 500 people were believed to be inside the club when the fight broke out. Julio Cesar Perdomo said his injured son told him the tear gas was launched from inside a bathroom and that partygoers tried to flee but found the club's door closed. Pictures posted by Reverol on Twitter show a narrow staircase leading to a metal door. The club is officially called "El Paraiso" but is more widely known as "Los Cotorros" or "The Chatterboxes." Photos shared online from previous celebrations at the club show a dark interior with wooden tables and a stage upfront where DJs shuffled songs. Green painted metal bars and gates covered the doors and windows. The crime wave, coupled with a cratering economy, has extinguished much of Venezuela's once vibrant nightlife and left many families hesitant to let their teenage children out after dark. Relatives of those inside the club said the party was a celebration for the graduating class of several different high schools. Some parents had been hesitant to let their children attend. "She fell to the ground," she said between wails, "and all the kids stumbled over her."